Several weeks ago I was asked to write about my personal journey with the temple, about how I felt the first time I went, how I have learned and progressed in my understanding and appreciation of the temple, and how I have handled questions or concerns about temple worship. This was really a beautiful thing for me to reflect on and I am excited to share my experience. I hope that you will realize that this is my personal experience and that everyone's temple experience and journey is going to be different and unique. I hope that by sharing mine you can feel my testimony of the temple and know that it is okay to not have all the answers. If you would like to more know about temples this is a wonderful introduction. I went to the temple the first time when I was 12, to do baptisms for the dead. 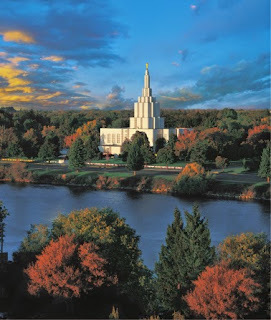 I remember walking into the Idaho Falls Temple and being astonished that not everything was white! I'd always assumed the temple would be completely white inside, just like it was on the outside. It surprised me to see paintings, murals, green carpet, and brown seats instead of the pure white I was certain I would find. Even though the temple was beautiful, it was very different from what I'd been expecting. I think it was then that I first realized that the temple would probably not ever be what I had imagined, but that it would most likely be for the better. I had some powerful spiritual experiences as a youth during those baptismal temple trips that really helped me gain a testimony of the temple. I remember one time in particular when, as I was waiting for my turn to be baptized, that I felt the spirit of one of the women whose name I was going to do. I felt her like she was standing next to me and it was an incredible feeling. I realized that what I was doing, what I was participating in-- was real-- and that there were things happening in the temple that I could not see. Over the next decade of my life I continued to attend the temple to do baptisms for the dead, was faithful about personal prayer and daily scripture study, and was active in all my church responsibilities. Yet as I neared my 20th birthday I began to have a hunger, a spiritual hunger, like I had never experienced before. I had so many questions and I felt like no one had the answers. I struggled with questions with women and the church, women and the priesthood, women in the scriptures, women in the world, women in politics, and just about every other topic you can think of to stew and worry over women. I'd done a lot of searching, studying, pondering, praying and crying about it but I felt like I was just not understanding things how I wanted. People kept telling me to put my questions on a "shelf" to wait patiently to have answered in heaven, but the problem was that my shelf was getting too heavy. I had so many questions. I remember one night having a heartfelt discussion with my dad about the gospel, particularly about the story of Adam and Eve. The conversation ended with me exclaiming "Dad, I just feel like I am beating my head on a brick wall! There has to be more to understand and I just feel like I can't get at it. It is so frustrating." He, oh so sweetly, looked at me and just said, " Heather you are going to love the temple." In fact, the answer that I got to most of my questions, over and over again was, "You are going to love the temple." And I did, but maybe not in the way that everyone expected I would. I went to the temple when I was 21, about two months before I got married. I'm glad that I took out my endowment a good time before my wedding. It gave me plenty of time to go back and to really experience the temple for myself, as an individual rather than a couple, and I think that was important for me. I think that one of the things that surprised me was that there wasn't a whole lot of the temple that was new doctrine or information to me. I'd been expecting, after everyone's assurance that my questions would be answered in the temple, that there would be some really important new information. So it surprised me to realize that I already heard most of it before. There were some parts that were new and unusual but I felt like I had been well prepared for that. I'd spent a lot of time studying the Old Testament and I recognized much of the ceremony from what is recorded there. In fact, it has been incredible for me to now realize that just about everything we do in the temple is already in the scriptures. It isn't laid out as clear or concise as it is in the temple, but all the parts are there, in some form or another. My Dad had also reminded me before I went for the first time that the temple was an ancient ceremony. "The Temple is different than anything else we do in the church, " he told me, "and this is because the temple ceremony is ancient. If you remember that what you are doing is old and full of deep symbolism, it won't seem so strange. You will feel a part of something that has been going on since the world began." My endowment was one the most spiritual experiences I have ever had because I felt, as I went through that first time, that my "brick wall" came crumbling down. God didn't answer all my questions, in fact He just gave me lots more questions, but it was like He was giving me an assurance that "yes" I would one day understand. I knew that because I was making covenants-- powerful covenants with Him-- that he would give me power and understanding. That I would be able to keep progressing and know all that He understood. That was a powerful feeling for me and I sobbed as I made some of the covenants, because I knew that each one gave me more of the power and understanding that I yearned for. After my family greeted me in the Celestial room they told Jon (my then fiance) and I to sit for awhile and they would meet us outside. I think they assumed that we would sit for a few moments together and then leave, but I had so many thoughts and so many things I wanted to talk to Jon about that we sat there for almost two hours. When we finally left the temple I didn't realize that we'd left my family waiting for so long. I think that I was just ravenously hungry for what God could teach me that I felt like the temple was a spiritual feast. I felt like a door had just been opened and I wanted to go back and back and back until I understood it all.
" Believe in God; believe that he is, and that he created all things, both in heaven and in earth; believe that he has all wisdom, and all power, both in heaven and in earth; believe that man [or woman in my case] doth not comprehend all the things which the Lord can comprehend." I have also found that when I struggle with questions in the temple that it helps to talk them over with my husband in the Celestial Room or with another friend. It is nice to know that in the Celestial Room you can talk about anything, and not have to worry about what you can and can't say. I also have asked questions to the Temple Matron or to the temple workers, who have often been able to help me understand wording, temple policies and differences between the men and women's experiences. I have also learned a lot from studying the scriptures, especially the Old Testament, with my "temple eyes" open. It is incredible to see that the temple practices, covenants, and even the clothing are the same as the ones that God gave to Adam and Eve, to Abraham, to Moses, to Solomon, and to all the dispensations on the earth where the priesthood has been restored. I have come to see that questions and struggles are not necessarily a bad thing and that they are often the catalyst for great personal growth and understanding. In fact, it now excites me rather than frustrates me that I don't understand everything. This is because I feel an assurance when I go to the temple that the door is open, that I will eventually get answers, that God will hear my voice, and that He will speak with me face to face. That reminder is a powerful one for me and it has helped me be patient with my questions. I no longer feel like I have a "shelf" of questions, but rather "stairs". In my mind a shelf connotes passive waiting for an answer that may or may not exist, whereas the image of stairs feels like more of an active process; moving step over step, line upon line, until I progress to the point in which I can understand all the mysteries of God. I feel like my own personal temple journey has been, and probably will continue to be, very much like Jacob's dream. To me the temple is the ladder, a conduit to heaven, a promise that we can reach God himself, that we can gain all that He has. Yet, the climb is not an easy escalator trip up. Instead it is, like Jacob saw, full of people like me who are struggling up and down the rungs of the ladder, sometime making progress and other times sliding down; yet slowly and surely progressing to the top. I know that my own personal climb can be frustratingly slow and sometimes agonizing, especially when it seems like I struggle with the same things over and over again. Yet I have faith that my struggle and my journey has a purpose and that God is aware of me. I have faith that what I do in the temple is something much bigger than me, or even the time in which I live. That through my worship I become part of God's grand plan for His children, something that began long before I was born and which will continue long after. I think for me the most beautiful promise of the temple is knowing that God understands all things and that He wants to share his knowledge with me, a virtual nobody in the eternal scheme of things. The temple is truly a "gate of heaven" and I have felt the flow of knowledge and power that comes from attending and worshiping there. It is that promise that fills me with joy and it is what keeps me going back to the temple. It is a slow process but I know that answers exist, real answers, and that God will give them to me. I've felt him break down that wall and open the gate so that my eyes and my ears can see and hear spiritual things. I have received answers to some of my hardest questions and I only pray that He will keep giving me questions so that I can keep finding the answers. 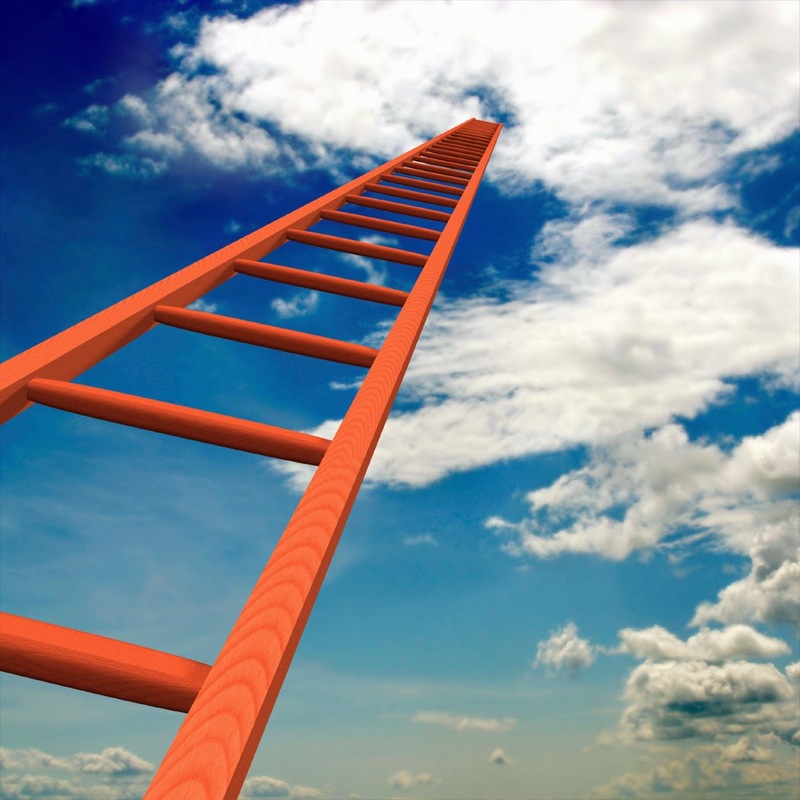 In fact, climbing Jacob's ladder has become a process that I am learning to enjoy very, very much. Thank you so much for sharing your feelings about the Temple. I live far from the Temple and while I'm there I'm always busy doing work for others and I've never taken the time for me, my doubts and fears. I'll remember your words the next time I'm at the Celestial Room. Hugs from Brazil. Thank you! And I bet serving in the temple gives you different perspectives as well that are just as important. I'd love to have that chance some day! Thank you for this blog! I discovered it recently while researching for a Mother's Day talk, and have been devouring all of the different posts. I'm so grateful that you have depth and research in talking about stories that are skimmed over or forgotten. I'm so excited to share this with my Young Women! And can I also say, I'm so happy that you are intelligently discussing difficult feminine topics WITHIN the doctrine of the church! It seems like the two don't often coexist. I so appreciate your work here. I love this post; and, yes, you will understand even more when you one day serve in the Temple -- as I'm sure you will!